Gokusen 3 (NTV / 2008) 4 ep. Jotei (TV Asahi / 2007) 4-5 ep. sara Oct 23 2012 5:43 pm OMG .. He's my crezy love .. I love him soooo much .. I wish if i meet him someday .. 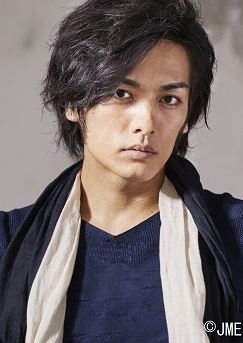 I really hope that .. Love YuKi 4ever ..
Raine Dec 06 2011 2:27 am He also made a great Date Masamune in the Sengoku Basara live stage show back in 2009, totally loved it!